Is The Gut-Brain-Skin Axis to Blame For Anxiety and Acne? You may have recently learned that the gut is being labeled the second brain. The gut is intimately involved in a close interaction with the brain in what researchers and physicians refer to as the gut-brain axis. However, did you also know that there is a pathway called the gut-brain-skin axis as well? The interaction between the three may be to blame for your anxiety and acne. Is the health of your gut-brain-skin axis to blame for anxiety and acne? How can your gut influence both your cognitive and emotional well-being as well as an external organ? This answer is best understood in terms of language. As humans we have co-inhabited a world surrounded by bacteria. In this article, you will discover the role of the gut-brain-skin axis in conditions such as acne and anxiety. In fact, human intestines alone contain trillions of bacteria and outnumber the total concentration of eukaryotic cells that make up our bodies (15). It is as if we are sandwiched between colonies of bacteria that line our gastrointestinal tract and that adhere to our skin’s surface. The notion that the gastrointestinal tract can be responsible for the pathogenesis of disease and even increased rates of mortality historically dates back to 400 B.C. Hippocrates is credited with saying “death sits in the bowels” and “bad digestion is the root of all evil”. 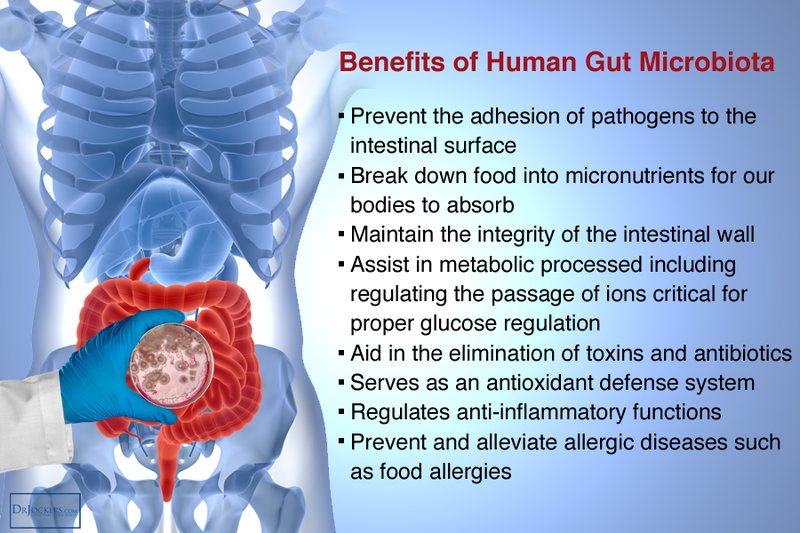 The gut microbiota contains a range of microorganisms dependent on the lifestyle of every individual including diet, geographical location, mode of birth, antibiotic use, perceived psychological stress, and numerous other factors which regulate gut bacteria and intestinal health (3). Dependent upon these factors, the microbiota can cause severe health problems and disrupt the delicate gut-brain-skin axis. Understanding the lines of communication between the gut-brain-skin axis is necessary to fully comprehend how an individual’s gut microbiota contributes to severe health complications. The vagus nerve originates in the brain stem and ends in the abdominal organs. Also true, one could say that the vagus nerve starts with the abdominal organs and ends in the brain given that we are discussing a bidirectional highway of transmitted information. This is the essence of the gut-brain connection. One study involving animals represents the importance of the vagus nerve in signaling information to and from the brain. Experiencing psychological distress, symptoms entirely disappeared when the animal’s vagus nerve was severed disrupting the lines of communication (6). Western diets high in processed foods, sugar and fats increase an individual’s risk of developing leaky gut syndrome. Bifidobacteria are bacteria which aid in the normal health and function of the gastrointestinal tract and are significantly reduced in the presence of processed sugars and fats. Inflammation and stress on the gastrointestinal tract aggravates leaky gut symptoms by creating pathways through those finger-like projections known as microvilli which normally help absorb nutrients. As bacteria builds up, the intestinal wall increases in permeability allowing bacteria to cross the gut barrier and enter the bloodstream. Bacteria overgrowth in the bloodstream can cause problems anywhere in the body including gut-brain-skin axis. Knowing how to speak the same language as our nervous system, bacteria, yeast and parasites can produce harmful neurochemical signals which mimic the exact same appearance as does the host’s own neurotransmitters but stimulates different responses. Still poorly understood, the term “mind-altering bugs” originated in the 1990s when scientists were unable to identify the biological pathway by which pathogens were able to alter and cause mood changes regardless of the presence of inflammatory conditions (1). The health of your skin can be representative of how your body regulates stress and how well your immune system is functioning. Inflammation and the buildup of bacteria on the skin trigger the release of sebum from oil glands within the skin. Catecholamines: Catecholamine are stress hormones that are released when gut microflora interact with the endocrine and nervous system of an individual impacting skin health (6). Substance P: Substance P is a compound secreted by nerves and inflammatory cells designed to protect the immune system and it is able to interact with the gut, brain and skin (16). In another report, individuals with acne and rosacea were shown to have an even greater risk of developing SIBO by up to 10 times the average health level (11). Emerging research of the importance of gut microbiota and its influence on the health of skin has been cause for the development of two specialized fields known as psychodermatology and neurodermatology (11). Researchers are beginning to learn that small changes to normal intestinal health can cause significant damage to the entire body and vice versa. Researchers admittedly have only begun to uncover how influential the diverse species of bacteria in our gut influence our health. Most notably, some strains of bacterium have already been spotlighted for their role in benefiting the human body and supporting the gut-brain-skin axis. Several strains of Lactobacillus species have been shown to act as antidepressants and relieve symptoms of anxiety and depression. One reason for this antidepressant effect is that Lactobacillus bacteria produce an inhibitory neurotransmitter in the nervous system known as GABA. A 2005 study showed that individuals with acne and mental health symptoms such as depression had low concentrations of Lactobacillus and bifidobacteria in their gastrointestinal tract and also had increased intestinal permeability (11). The health of human cognition, behavior and emotion is dependent on the concentration and presence of specific gut friendly bacteria including probiotics. For instance, acne vulgaris is associated with nutrient deficiencies of zinc, folate, selenium, chromium and omega-3 fatty acids (17). The addition of a bacteria strain known as Saccharomyces cerevisiae to a patient with the skin disorder has been found to improve acne vulgaris as well as constipation (11). Probiotics are one of the key supplements to support the gut-brain-skin axis and keep it healthy. P. acnes is an acne-inducing bacterium which can be prevented with an adequate concentration of probiotics. A step above the benefits of probiotics, prebiotics are comparable to fertilizer and help the colonies of beneficial bacteria grow. Konjac glucomannan hydrolysates, or GMH, is a prebiotic source which aid probiotics in inhibiting P. acnes (13). Medication Intervention: Medications affect gut brain health and produce common side effects such as constipation and diarrhea (9). Open up the conversation with your prescribing physician and discuss if pharmaceutical drugs are causing you more harm than good. Don’t just avoid antibiotics while at the doctor’s office, stray away from antibiotics at the grocery store as well. Purchasing meat and dairy free of antibiotics will help maintain the concentration of friendly bacteria in your gut. Supplement Your Diet with Probiotics and Prebiotics: The microbiome and activity of bacteria in the gut changes daily. Introduce healthy bacteria into your diet by taking a daily probiotic and consuming fermented foods such as saurkraut or fermented teas like kombucha. Probiotics increase intestinal health and protect against inflammation, and increased permeability apparent in those with leaky gut syndrome. Patients battling psychological disturbances and physical concerns including dandruff and rosacea can benefit from probiotic supplementation. Increase Fiber: Fiber can be found in a supplement source typically containing psyllium but it is best to receive the benefits from fiber from nature. Increase the amount and variety of fruits and vegetables into your diet. Individuals consuming plant based diets have been studied to have fewer carcinogens in their microbiome than those who primarily consume meat. Avoiding processed foods and sugar laden products which cause inflammation in the body is also key at ensuring that the fiber you receive comes from the quality of fruits and vegetables you eat. Now you understand the detailed connection that makes up the gut-brain-skin axis and how what you eat will impact both your mood and the quality of your skin. When you sit down to your next meal, don’t just focus on your cravings and feeding your stomach. Consider your gut-brain-skin axis and choose to feed your brain and nourish your skin. After all, research is continuing to prove that your body truly does represent what you eat. Do you treat parasitic infection of the skin? We don’t treat any conditions but we do offer advice and education on strategies to improve your health.